As part of the new Blood-Red Pencil feature, The Care and Feeding of the Writer, I wanted to celebrate Valentine's Day by giving love to the busy little worker bees in the writer's arsenal: the hands. As a writer, I spend ungodly amounts of time on my computer and needless to say, my tendinitis is none too happy with me for it. Even if you don't have tendinitis or Carpel Tunnel, from time to time, all writers will get the cramping in their hands or pains that keep them from writing. Because our hands work so tirelessly for us, we ought to dedicate part of our VDay to saying thank you and letting them know just how much they are loved. Below are a few things you can pick up to help in easing hand pain. Of course, if the pain is persistent, then you should contact a doctor and be examined; however, even then, these products can only help alleviate the pain. When my doctor told me I had tendinitis, one of the things he suggested I buy was a stress ball. 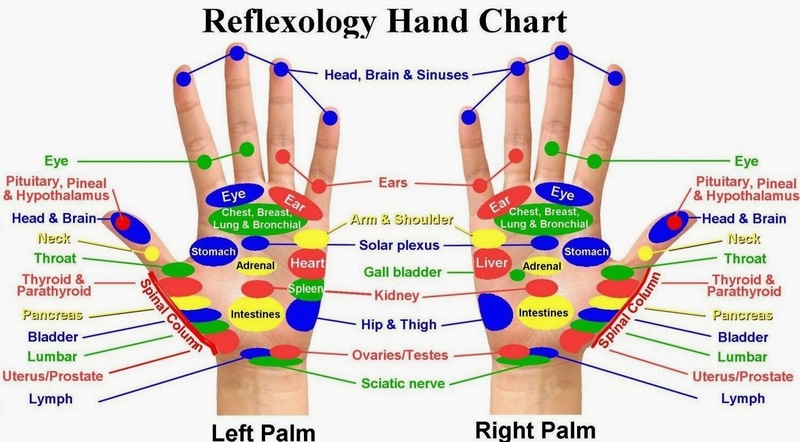 They have them in various sizes and in various levels of squishiness, and the stretching, flexing, squeezing of fingers around that ball can not only help you to relieve some stress, but it can also help you to relieve pain in your hands. Above is the Handstands Cyber Gel Squeeze Ball. Before writing this short piece, I knew nothing about therapy gloves, so I did some searching. 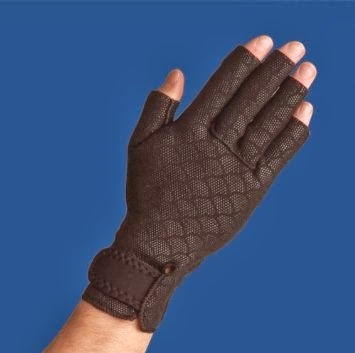 The above image is of the Thermoskin Arthritic Gloves. These gloves, and others like them, help to relieve pain in the fingers and hand. They can help to reduce soreness and swelling, and these gloves specifically can capture your body's heat and provide compression that also brings relief to hands. You definitely want to check around to make sure you find gloves that not only fit well on your hands but are also not a nuisance to have on for any extended period of time. One of the best gifts I ever received for Christmas was a paraffin bath from my mother. The idea of sticking one's hand into melted wax might not seem like a joyous time, but once you let your worker bees be comforted by the warmth of the wax and then wrap them into gloves for a few minutes, those hands will thank you for their softness and for the pain that is alleviated. And you can buy the wax in various scents, so it becomes a soothing experience for the senses, too. 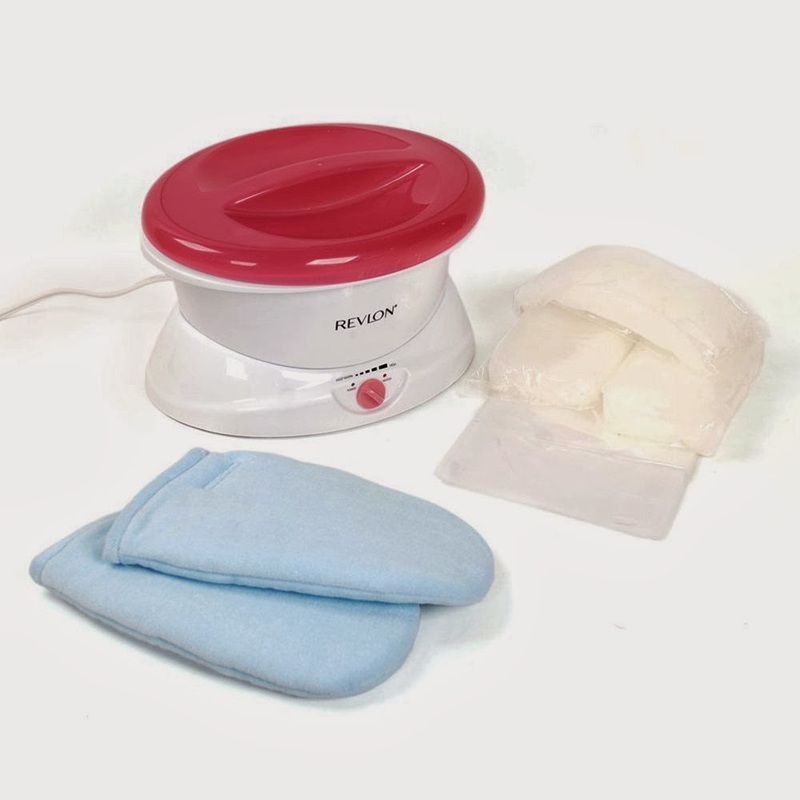 The above paraffin bath is the Revlon Moisturestay Quick Heat Paraffin Bath. And yes, fellas, they come in other colors, too. I've seen paraffin baths range in price from $29 to $170, so there is definitely a variety for you to choose from. While you're out today, running around, picking up those last-minute cards and boxes of chocolates, why not pick up something that can truly benefit you and your writer's hands beyond Valentine's Day? Great suggestions! Not only do I spend a lot of time on the computer, but I knit too. My hands are constantly in motion. The stress balls are great in helping to keep my fingers limber. Interesting subject and you have some good suggestions. As an older writer with arthritic hands I could perhaps benefit from some palm pampering and delightful digit indulgence, lol. I've never tried the stress balls! Must find some of those. The compression gloves look interesting, too. Shon, I have yet to try the paraffin gadget - it sits on my bathroom counter brand-new and untouched. I am so NOT a gadget person, so the simplest remedies are best for me. Although it's cold today, and my hands do hurt, so maybe since it's VD I'll treat myself. Thanks! I've never heard of that wax thing. I'll have to try it some time. My fingers don't usually hurt when I type, but one of them gets stiff sometimes in the morning. Once I start moving it around it works fine. 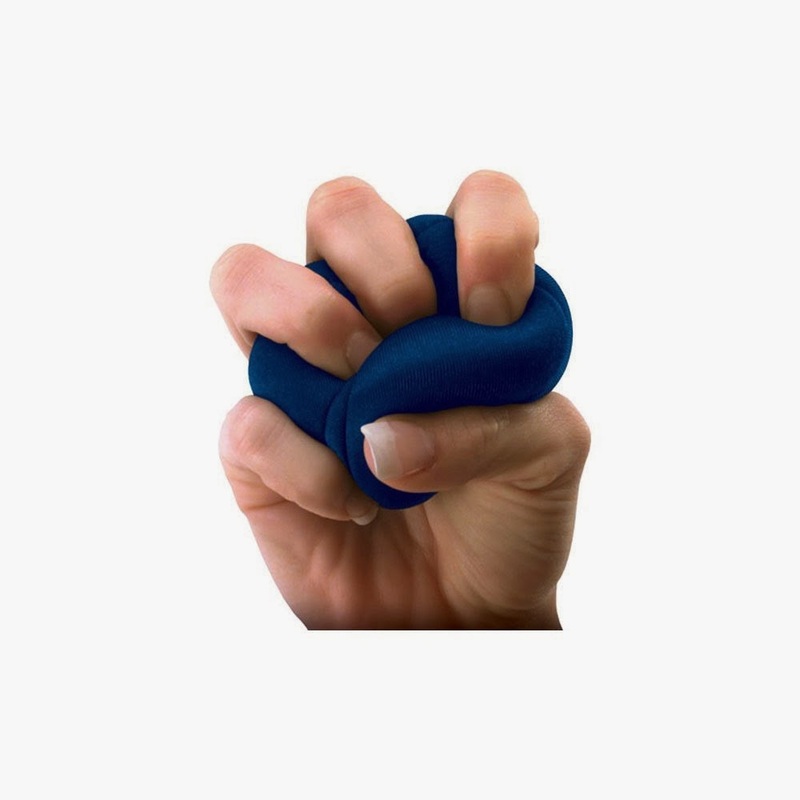 Having a partner who suffers from tendonitis, I've always been aware of some treatments, but the stress balls are new to me. Thanks for this post; I'm going to bookmark it for me and pass on the info to my husband. This is wonderful, Shon. I've passed along your hints to my sis-in-law who is not a writer but has arthritis in her hands. Thank you! I don't often get my nails done, but when I do, they usually do a hand massage. Ahhhhhhh, it always feels so good. I can definitely recommend that! The stress balls and paraffin have been life savers for me through the years. Initially, I didn't use stress balls. My doctor had given me something almost like Play-Doh that was very tough to squeeze, but after a while, working on it took away a lot of the pain. We moved from that to the stress balls, and it's fun just looking for some with crazy images or phrases on them. Great suggestions, Shon. I don't have much pain in my hands and fingers, but a lot of stiffness due to arthritis. The stress balls sound like a good therapy for that. I got the stress balls as a gag gift one year and now am never without them. Couple of months back I bought the gloves. I have nerve damage from burns in my right hand and these are a blessing. I used Chinese chiming balls to get my fingers moving smoothly again after a typing RSI. You hold two in one hand and use your fingers to rotate one around the other. It generates pleasant, soothing heat in the joints. I once worked in an office and had air con blowing directly on my hands, which locked up suddenly. I couldn't grasp a pen after typing as my fingers wouldn't close. I should've had those gloves you mentioned.